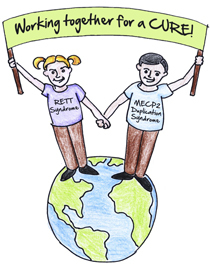 It is great to see research on MECP2 duplication syndrome emerging from the NIH Rare Diseases Clinical Research Network Rett syndrome, MECP2 Duplication disorder, and Rett-related disorders Consortium, This research, published electronically on 20 February 2019, provides some important new insights into the role of additional genes in MECP2 duplication syndrome. 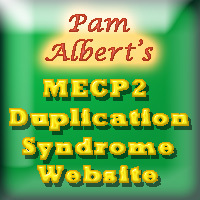 As more families affected by MECP2 duplication are discovering that sometimes the wrong tests have been ordered leading to incorrect information being given, this simple metaphor may be useful for understanding the difference between two MECP2-related conditions and how testing applies to them. I hate to be writing this in 2017, but there still seems to be a lot of confusion between Rett Syndrome and MECP2 duplication syndrome. So let me start simply by saying, THESE ARE NOT THE SAME. They are very different and in some ways they are completely opposite of each other. A recent study looks at the effects of the MeCP2 protein levels on adult brains. Although this study looked at blocking MeCP2 [similar to Rett syndrome and the opposite of MECP2 duplication syndrome], the fact that it showed different kinds of responses depending on the developmental maturity of the lab mice, suggests that the most critical role of the MeCP2 protein may be in the function of the adult brain. OPINION: This week Nature published a very interesting and possibly groundbreaking study on schizophrenia. 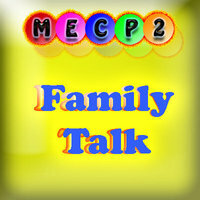 It doesn’t mention MECP2 but it does talk about the role of the pruning process in the brain. The way our brains develop is by creating a bunch of new connections and then trimming away the ones that are not needed or helpful. The article suggests that schizophrenia develops when the pruning process goes too far in some parts of the brain. This is also consistent in some earlier reports that did suggest that certain defects in MECP2 were implicated in early onset schizophrenia.